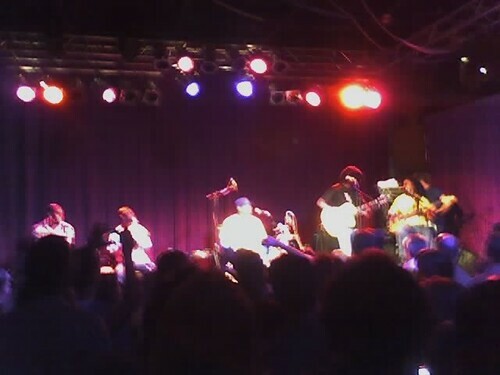 Continuing our music binge, Kay and I went to Neumo’s on Capitol Hill to see Seu Jorge and Jehro. You might know Seu Jorge from The Life Aquatic Studio Sessions. Both bands could be described best as tropical/reggae. Overall a darn good show, though I couldn’t understand a damn word that Seu Jorge sang. While this post may be late to the party, I’m far from it. Lauren introduced me to The Killers back in October I believe, maybe even sooner. We then went and saw The Killers, Franz Ferdinand and Modest Mouse at a Christmas concert in December where The Killers totally stole the show. It’s not often that I totally get into a band, but I have to admit that this band pretty much completely rocks my socks off. The whole album is great and I highly recommend checking out their album “Hot Fuss”.